Ani's Book Abyss: My TBR List -- April Winner! My TBR List -- April Winner! Size 14 Is Not Fat Either won with 10 votes out of 15! So Size 14 won by a landslide and the other two couldn't even really catch up. To be honest, I was not exactly enamored with the first Heather Wells book, and while the writing was enjoyable at times and the voice was quite humorous, the main character had started getting a little irritating after a while. And the murder mystery had a ton of holes in it as well. But there was a quality to the book that made you want to keep reading. After I read some reviews that the series DOES get better as it progresses, and as I don't completely dislike Heather Wells, I had decided to give the series another chance and continue on. I'm crossing my fingers and hoping that I will enjoy this one, because, for other reasons, it's actually the book I was secretly hoping would win. So yeah, this is the first book win wherein my personal, secret vote aligned with the majority. I am on a roll so far I am 3 for 3! I am looking forward to what you think of this book since I might want to also read it! Enjoy! lol Thanks! I should stop personal voting on my own polls, but I can't help it, and so far I'm only 1 for 3--finally, my personal vote aligned with the majority. Meg Cabot has a good writing style and the voice she gives Heather Wells is pretty amusing as far as I remember from the first book, though some of the jokes get repetitive. I'm hoping I enjoy this one enough to continue on with the rest of the series. Yay, I am on a roll! I voted for that one! Hope you like it. Thanks! And thanks for voting! I don't think I voted for that one, but it does sound good. I hope you enjoy it! It does sound interesting and I DO like mysteries, so I'm crossing my fingers and hoping it'll be good. Thanks for voting! Yay! I'm pretty sure this is the one I voted for. :) I hope it's a fun read, Ani! I hope it's fun too! Thanks for voting! Nice, this one won by a clear majority! So different from my poll this month, lol. This is the one I voted for, so i hope you'll enjoy it! Thanks! This was very different from the previous two polls I had where there were two distinct books being voted for. 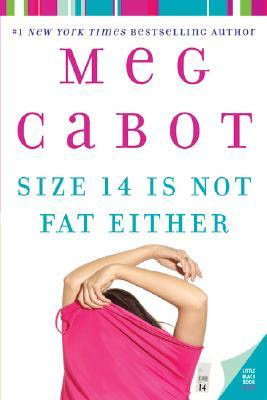 Seems like Meg Cabot is quite the popular author. lol Crossing my fingers and hoping its good. The Raven Cycle short drabbles!